Brussels — Cities and regions have the support of the European Parliament in their call to incorporate more ambitious targets within the waste legislative package currently under review. Together with EP’s ENVI committee, cities and regions are building a coalition to boost the circular economy through higher reuse and recycling targets, drastic reduction of waste landfill and a robust reinforcement of extended producer responsibilities. The economic impact of the waste legislative package is substantial as more than 180.000 direct jobs could be created in this sector by 2030. The Commission for Environment, Climate Change and Energy (ENVE) of the European Committee of the Regions (CoR) reaffirmed its positions on the revision of the waste directives and the implementation of circular economy action plan during a high-level debate with the Maltese minister of environment José Herrera and European Commission circular economy director Kestutis Sadauskas. With European Parliament’s ENVI committee vote last 24 January going in the same direction as the recommendations adopted by the CoR in June 2016, cities and regions are closer to their objective of a new regulatory framework with more ambitious targets and additional binding obligations. Domenico Gambacorta, President of the Province of Avellino and CoR rapporteur of the opinion on the legislative proposals amending waste directives, said: „We are pleased to see Members of the European Parliament sharing our positions on important measures such as increasing the reuse and recycling of municipal waste from 65 percent to 70 percent, strengthen the extended producer responsibility and phasing out landfilling“. We reaffirm our call for specific targets applying to construction and demolition waste, to be met by 2025 and 2030, and separate binding targets for waste streams such as furniture, fabrics and waste electrical and electronic equipment (WEEE). 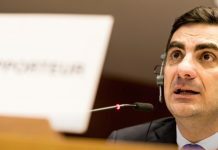 José Herrera, minister for environment of Malta declared: „The Maltese Presidency is prioritising the waste legislative proposals with several Working Party meetings currently ongoing. We aim at first reading negotiations with the European Parliament to commence under our Presidency. We welcome contributions of local and regional authorities to the waste legislative proposals. We are now working with Member States to advancing in balanced compromises on some of the main issues, such as key definitions, targets and calculation rules, as well as extended producer responsibility“. Local and regional leaders are closely following the negotiation process as the European Parliament is to vote on new legislative proposals during its 13-16 March plenary session. „Many cities and regions go already beyond waste management and adopt integrated circular economy strategies“, recalled Babette Winter (DE/PES), Thuringia State Secretary for Europe and Culture and CoR rapporteur on the circular economy as she moderated a session on regional circular economy and waste management best practices. According to the European Commission’s environmental, social and economic impact assessment report of waste management published in July 2014, more than 180.000 direct jobs could be created in this sector and 443 million tons of GHG could be avoided by 2030. 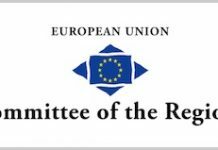 On food waste, both the CoR and the European Parliament are calling Member States to agree on a food waste reduction target of 30 percent by 2025 and 50 percent by 2030. Food waste in the EU is estimated at some 89 million tonnes, or 180 kg per capita per year. MEP Mirian Dalli, MEP Chair of the Circular Economy Working Group stressed the importance of binding targets „without which we can never expect to experience real change“. The event was organised in cooperation with key European associations with long time experience and deep expertise in the subject, namely ACR+, CEMR, Municipal Waste Europe and Eurocities.